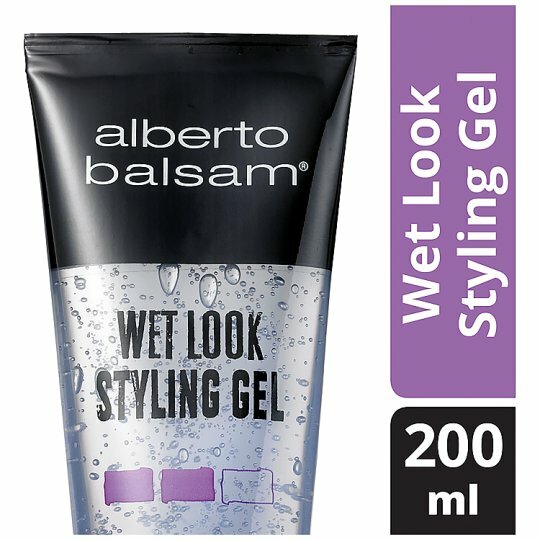 Alberto Balsam brings you a salon tested formula to create unique styles: Alberto Balsam Wet Look Styling 200ml, long lasting but non-sticky and non-greasy hold to create a great wet look effect that washes out easily. one ultimate gel our of two in our complete range. Maximum lasting hold and maximum control to add texture and definition. How to use: Apply to damp or dry hair. Work gel through the hair and allow to dry naturally or style as usual. Great for all ages and hair types. Why not try… Alberto Balsam Ultra Strong Styling Gel, the second gel in our range perfect for that wet look style at an affordable price. Alberto Balsam has been providing excellent affordable family shampoo & conditioner to UK families for generations. Over the years, we've learnt to celebrate all the small things that make life beautiful. That's why we use delicious natural ingredients, like raspberry, coconut, blueberry and Apple in our products to give you little moments of joy with their lovely fragrances. Hair smells as good as it feels! Our extensive range of fresh ‘n’ fruity fragrances means that everyone in the family will be able to find their perfect Alberto Balsam scent, for a fantastically fragrant in-wash experience and delicious smelling hair. The perfect family shampoo and conditioner, completed by our styling range.